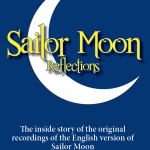 Roland Parliament will be bringing a limited number of Soft Cover Copies of Sailor Moon Reflections to Unplugged Expo! Don’t miss this chance to grab a copy of his new book and snag a signature with the author himself! September 27th – 28th at the Chestnut Conference Centre downtown Toronto! 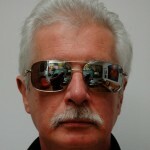 Roland will be at Unplugged Expo all weekend and will even be reading excerpts from his book, Sailor Moon Reflections. Check out the Saturday schedule for Unplugged here. And the Sunday schedule for Unplugged is here. There are Sailor Moon related events on both days, but it looks like Saturday will definitely be the busier day of the two. I will see you there if you’re going! I will be moderating the Sailor Moon actor talks in the main room and I will also be giving an updated merchandise presentation on Saturday at 4pm in the Lombard suite on the second floor. If you can’t make it, you can submit questions online by commenting on this post, sending us a tweet, emailing us, or contacting us on Facebook. I will be bringing all questions submitted by September 24th with me to ask the actors in person. 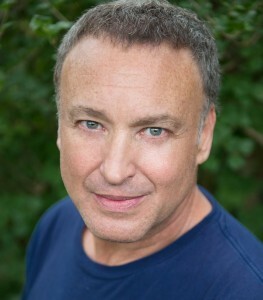 Ron Rubin Appearing at Unplugged Expo! Just announced today, Ron Rubin has been added to the guest list for this year’s Unplugged Expo in Toronto, which will be running Sept 26th-27th at the Chestnut Conference Centre. With this announcement, fans can be sure to see both the original English language voice of Artemis as well as the new English language voice of Artemis (Johnny Yong Bosch). Also appearing at Unplugged Expo will be Barbara Radecki, Sabrina Grdevich, and Roland Parliament. I will also be giving a presentation on Sailor Moon merchandise and media, and you will be able to find me moderating the panels featuring the Sailor Moon voice talent. Can’t make it out to Unplugged Expo? Submit questions online by September 24th and they could be asked live at Unplugged! You can submit questions by commenting on this post, commenting on our Facebook page, sending us a tweet, or emailing us. Sailor Pluto Will Appear at Unplugged Expo! Just announced via Unplugged Expo‘s Facebook page is the appearance of Sabrina Grdevich (Sailor Pluto #1, Ann) in September! This convention takes place during the last weekend of September and will be happening in a much bigger venue to accommodate more attendees. As always, we will keep you updated on more Sailor Moon guest announcements! Barbara Radecki (Sailor Neptune and Serena’s Mom) will be appearing at Unplugged Expo this September. This is the third year for the convention and it will be moving to a bigger venue, the Chestnut Conference Centre in downtown Toronto, near St. Patrick and Dundas subway stations. Last year, Unplugged Expo had a number of Sailor Moon related guests. We will keep you posted of additional Sailor Moon related guest announcements. Win a Pass for You and a Friend to Unplugged Expo Plus a Print! Hey, fans! We have a special giveaway for Unplugged Expo! You can win 2 free passes (one for you and a friend) and one exclusive Sailor Moon Print by Jon Lam! To enter, tell us your Sailor Moon merchandise idea. The most creative answer wins. You can enter via comment/message (on here or on our Facebook page) or via email.